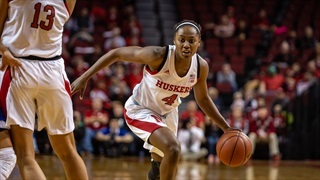 The sixth-seeded Huskers swept the Boilermakers during the regular season, but were out-muscled inside in the third meeting and fell 75-71. One team had star power that once again shined. The other saw its season-long inconsistencies continue to cause problems. 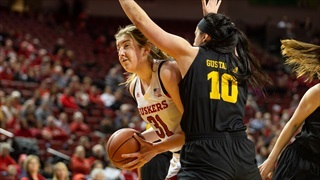 In the end, Iowa's Megan Gustafson helped the Hawkeyes roll right past the Huskers. 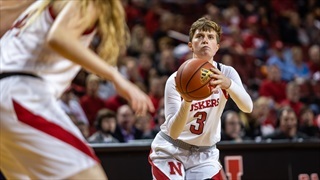 Hannah Whitish led the way with 19 points, forward Maddie Simon added 16 points on a perfect shooting performance off the bench, and Nebraska held off a fourth-quarter Northwestern charge for a 71-64 win on the road. 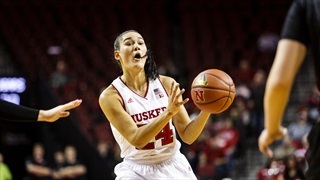 Nebraska put together one of its most complete games of the season in an 82-71 win over No. 24 Michigan State. 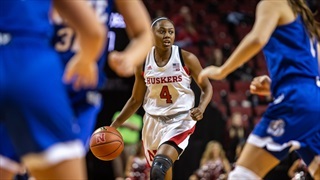 A career-high 30 points from Leigha Brown — and a little bit of defense in the fourth quarter — was enough to push the Huskers to a 67-61 come-from-behind win over Purdue on Sunday. It’s Friday, which means it’s time for another five things to like or trash. Let’s get to it. Nebraska took the first meeting with a dominant defensive performance in the fourth quarter at home. Michigan returned the favor in the rematch Thursday night. 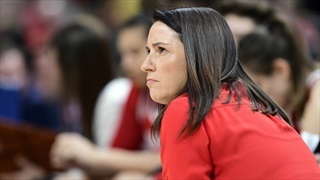 Nebraska takes on Michigan Thursday night in Ann Arbor in a battle of two teams near the middle of the Big Ten standings. 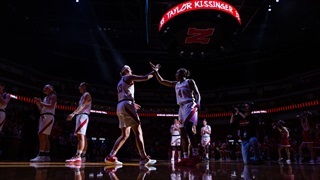 The Huskers were once again hot and cold Sunday afternoon against Indiana, ultimately falling 82-78. 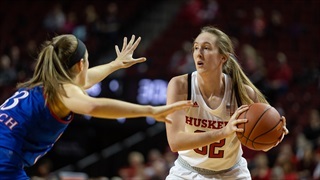 It was a career-night for junior guard Hannah Whitish, whose 28 points and 12 assists spearheaded a major Husker blowout. 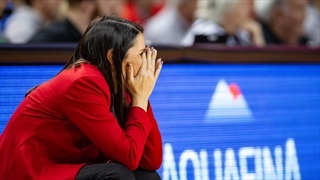 Usually, it's the Huskers who do the fourth-quarter rallying. This time it was the opponent. 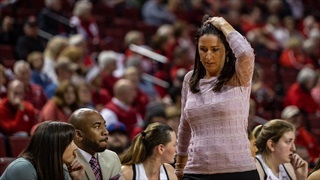 Wisconsin closed the game on a 13-2 run that featured a game-winning, buzzer-beating triple to beat Nebraska on Sunday. 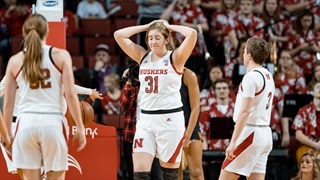 It may have felt like just another night in the Big Ten, but Nebraska’s 58-54 loss to Northwestern also felt like a missed opportunity for the young Huskers team. Minnesota looked to be pulling away after a dominant third quarter. 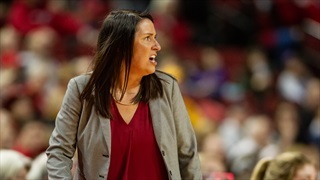 Then Nebraska caught fire offensively in the fourth and suffocated the Gophers on defense to earn its first win over a ranked opponent this season. While the men struggled with No. 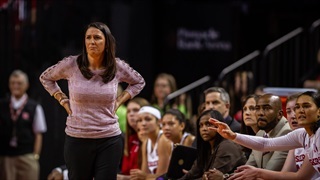 6 Michigan State at home Thursday night, the women jumped all over Illinois on the road. 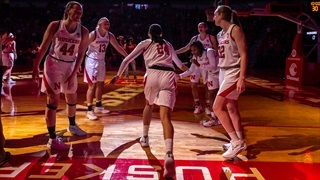 Nebraska women's basketball made a run at another Big Ten, come-from-behind win but feel just short against Iowa. 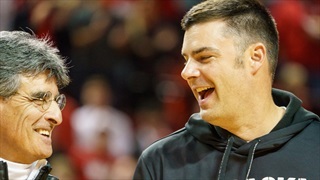 Huskers gave the fifth-ranked Cardinals a fight on the road, but Louisville just pulled away down the stretch. 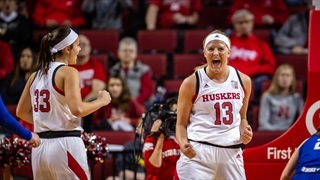 Experience wins out more often than not in college basketball; it did in the Huskers’ season-opener against Drake. 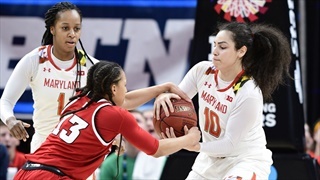 Nebraska played the Terps even for a quarter, but hit just one field goal in the second as Maryland advanced to the Big Ten championship game. 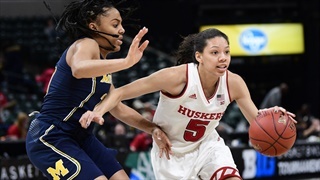 Nebraska used a late fourth-quarter run to put away Michigan as Hannah Whitish led the way for the Huskers with 17 points and seven rebounds.